Alex Iskold is the Managing Director of Techstars in New York City. Previously Alex was Founder/CEO of GetGlue (acquired by i.tv), founder/CEO of Information Laboratory (acquired by IBM), and Chief Architect DataSynapse (acquired by TIBCO). Alex created GetGlue, the leading social TV network, backed by Union Square Ventures, RRE Ventures, TimeWarner Investments and Rho Ventures. GetGlue has been named breakout startup of 2011 by Mashable and Top 10 Video Innovator by FastCompany. In 2012 Hollywood reporter named Alex among top 50 digital power players. Alex’s first startup, Information Laboratory, created a tool that helped software architects find problems in their code. IBM acquired the company in 2003, and much of Alex’s work made its way into widely used IBM Rational Developer and Architect products. In addition to being serial entrepreneur, Alex also contributed hundreds of articles to ReadWriteWeb, and taught an award-winning undergraduate software engineering class at NYU. An engineer by training, Alex has deep passion and appreciation for startups, digital products and elegant code. He likes running, yoga, complex systems, Murakami books and red wine. Not necessarily in that order and not necessarily all together. 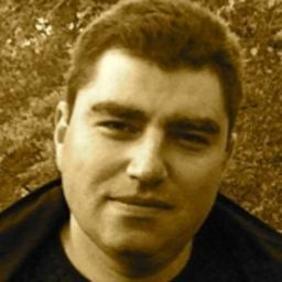 He actively blogs about startups and venture capital at http://alexiskold.net.